These condos in Verdun are as bland as can be but the unappealing green siding / metal work push it into the ugly category. 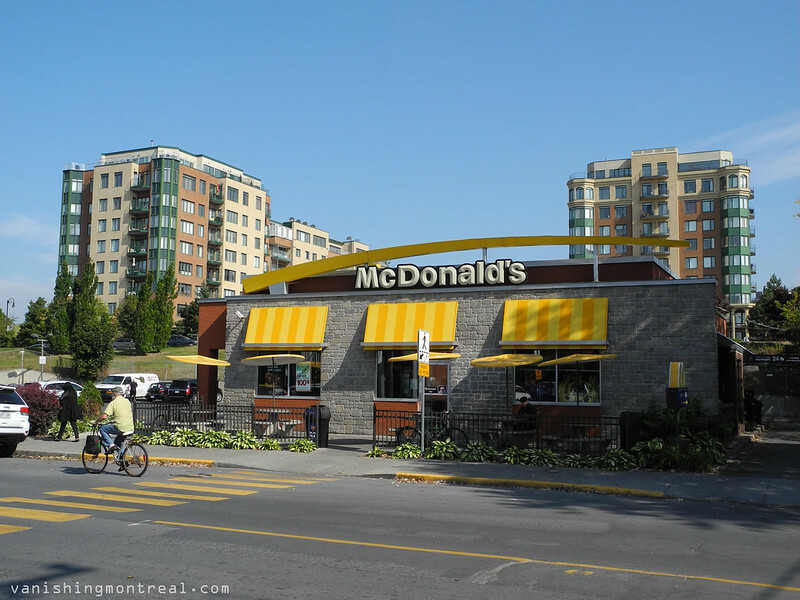 Well at least they sorta blend with the nearby McDonald's. The Verdun stadium used to be located there. These building sorta made the news a few years ago when one of the underground parkings collapsed. 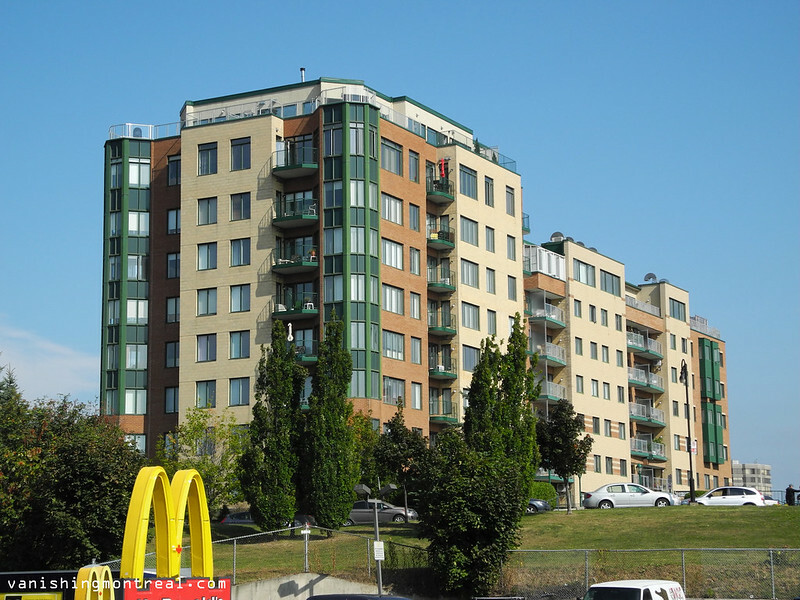 Ces condos à Verdun sont totalement oubliables, mais le vert du revêtement extérieur / le métal des balcons est d'un teint assez moche qu'il rend ces batiments dans la catégorie laid. Au moins leurs 'look' sont complémentaire avec le McDonald's du coin. Le stade Verdun était situé là auparavant. Ces bâtiments ont fait les manchettes il y a quelques années quand l'un des parkings souterrains c'est effondré. This is... barely passable. At least it looks like the balconies are useable, the apartments get a lot of light and there's an attempt at being architecturally, well, not *interesting* but maybe more *inoffensive*? Being inoffensive is about as good as it gets for a lot of these new buildings.